ADJ is proud to announce that it will use the 2018 LDI trade show to unveil its latest technology breakthrough: IP65-rated moving head beam fixtures. 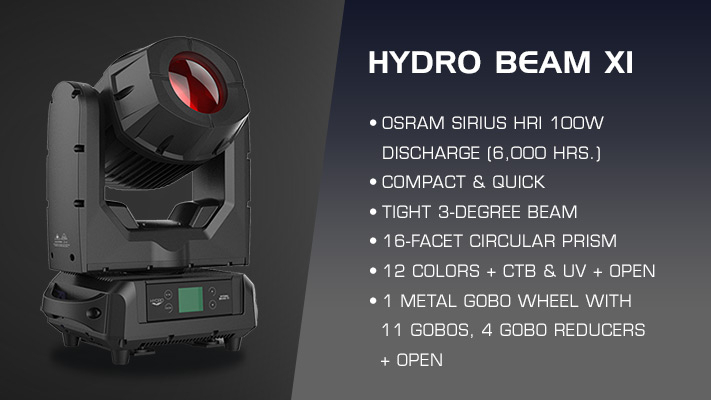 The new Hydro Beam X1 and Hydro Beam X2 will bring weatherproof moving heads within the reach of a huge number of production companies and installers working on projects with budgets that up until now would not have allowed for IP-rated fixtures. Despite its small size, the X1 packs in plenty of beam-shaping features. Its color wheel offers a diverse selection of 14 color options, including UV and a CTB color correction filter, plus open white. 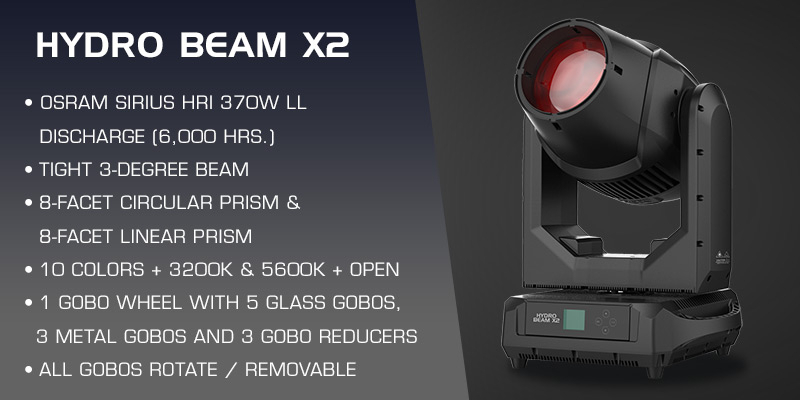 A second wheel is loaded with a varied selection of 15 GOBO patterns plus open, which include 4 beam reducers and the versatile fixture also features a 16-facet bi-directional rotating circular prism as well as 0-100% smooth digital dimming and variable speed digital strobing. Plus, its fitted with a frost filter for wash effect.